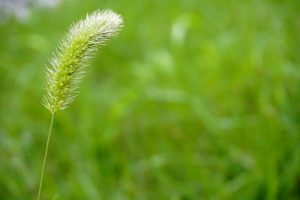 Green foxtail is the most common weed in both organic and conventional fields in Saskatchewan, but that’s where the two systems part ways. Julia Leeson, weed monitoring biologist at Agriculture Canada in Saskatoon, told an organic workshop in Swift Current that an average of eight weed species exist in an organic field, compared to 5.5 in a conventional field. Her data is based on the 2015 weed survey conducted in the moist and mixed moist grassland ecological regions. Of 2,242 fields surveyed, 53 were organic. While wild oats and wild buckwheat were second and third in the top 12 in conventional fields, organic producers more often deal with lamb’s quarters and stinkweed, then wild oats, wild buckwheat, wild mustard, Canada thistle, Russian thistle, cow cockle, dandelion, redroot pigweed and prostrate knotweed. Leeson said 27 species have significantly decreased since the last survey in 2003, and that includes 10 of the top 12 in organic fields. However, 36 species have significantly increased. Eight of the top 12 species were significantly more likely to be found in organic fields, but they are the only species out of 130 that follow that pattern, said Leeson. “Most species are equally likely to be found in organic and non-organic fields,” she said. Canada thistle, for example, can turn up in both systems. Its presence is increasing, particularly in the grassland, she said. Wetter conditions and reduced tillage are the likely reasons, she said. Leeson encouraged producers to learn how to identify weeds they haven’t yet seen because many are likely to appear. Some are benefitting from zero till, such as foxtail barley, and others like the wet conditions of the past few years. For example, there are both native and introduced species of barnyard grass that like moist conditions. The survey found that 89 per cent of the species were native, but she warned not to be complacent about the 11 per cent of introduced grass. Narrow-leaved hawk’s beard is one of two species that appear more in conventional fields in the grasslands. The other is marsh yellow cress, which likes the wet ground. Leeson said there are many other weeds that haven’t yet been recorded in organic fields, but the survey only examined a small number of them.